Hundreds of motorists face being put off the road under tough new drink-driving rules due to come into force this year. The Road Traffic (Amendment) Bill, passed by the Dáil this week, includes a provision whereby motorists caught over the drink-driving limit of 50mg of alcohol per 100ml of blood will be hit with an automatic driving ban. It replaces a provision which stipulated that a driver caught with over 50mg, but with less than 80mg, was hit with three penalty points and a €200 fine. New figures show that hundreds of motorists have benefited from the old system and avoided disqualification after being caught "slightly" over the legal limit. Road Safety Authority (RSA) data shows that 1,757 motorists have received penalty points for having more than 50mg but less than 80mg of alcohol when breathalysed. Between January and June, 85 motorists received points. 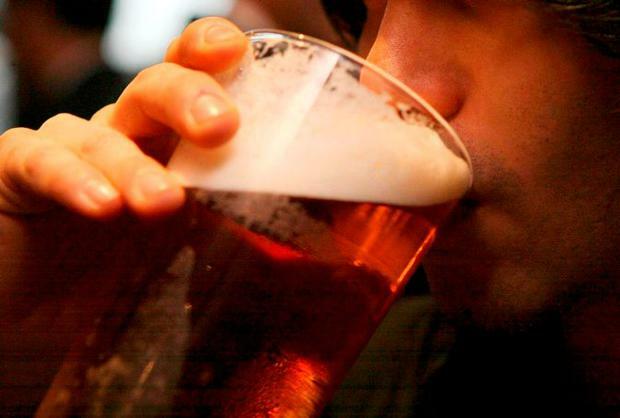 However, the new rules mean that anyone who gets behind the wheel after consuming just half a pint of beer runs the risk of being over the limit. One standard drink is considered enough to put someone at risk. This includes a glass of beer, small glass of wine or a pub measure of spirits. Gardaí have detected 4,274 motorists drink-driving so far this year, but it is not clear how many have benefited from receiving penalty points in lieu of a driving ban. But RSA figures show that almost 1,800 have been hit with penalty points after being caught over the limit. * Just 10 motorists received points in Leitrim, and just eight in Carlow. The Bill was passed in the face of opposition from some TDs, who claimed it penalised people living in rural areas. However, road safety campaigners hailed its passage, saying that tough laws were required to tackle drink-driving. RSA chairperson Liz O'Donnell said the measure needed to be backed by enforcement. "For this law to be effective and save lives, it must be accompanied by strong, visible and widespread enforcement by An Garda Síochána," she said. "Enforcement statistics for the first six months of 2018 showed in excess of 4,000 motorists arrested for driving under the influence. "These numbers show that despite some improvement in driver behaviour over the years, there remains a stubborn cohort of people who continue with high-risk behaviour, endangering themselves and other road users." RSA research shows that alcohol was a factor in 38pc of collisions between 2008 and 2012, with 366 people losing their lives and a further 69 seriously injured in crashes in which alcohol was a contributory factor. It says motorists should not consume any amount of alcohol before driving, noting that the amount which could put a driver over the limit varies from person to person. Garda figures showed that last month 821 people were arrested for drink-driving.